When you are under stress, some very significant changes begin to happen to your internal physiology. You breathe faster and deeper, your blood pressure increases and so does your heart rate, you perspire, tremble, and your mouth gets dry. These all happen within seconds because your body is trying to adapt to a stressful situation so you can react to it. This is the “fight or flight” response your body displays when it is faced with a stressful situation. The hormone adrenalin secreted from the adrenal gland is responsible for this immediate response to a stressful situation. 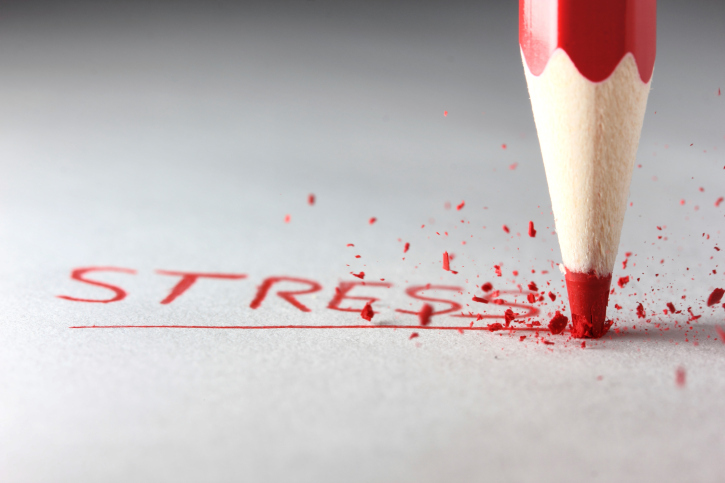 Your body reacts far differently when faced with prolonged stress. Although the adrenal gland is involved in this process, the hormone secreted is called cortisol. Unlike other stress hormones, this steroid hormone is not associated with any positive physiological process. When you are under chronic stress or in a state of starvation, the adrenal gland secretes cortisol directly into the bloodstream. Cortisol is a catabolic hormone, meaning that it breaks down muscles and bone substance in order for your body to adapt to survival-mode conditions. For instance, cortisol triggers the liver to manufacture glucose from protein to keep blood levels of sugar regulated and signals specialized bone cells to break down the bone minerals to liberate more calcium into the blood. It also prevents your body from absorbing dietary calcium from the intestine. Cortisol is also a nasty type of hormone because it also depresses the immune system, decreases wound healing, reduces the production of new proteins, reduces insulin sensitivity, and encourages fat accumulation inside the abdomen. New research indicates that cortisol is the hormone most likely to be responsible for frailty syndrome frequently witnessed in our senior population. Frailty syndrome involves the combination of reduced energy output and loss of muscle mass, bone density, physical strength, and physical capability. Frailty syndrome is associated with a greater risk of falls, premature death, institutionalization, and morbidity. Researchers found that the normal pattern of cortisol secretion typically associated with higher levels of cortisol in the mornings and lower levels of secretion in the evening are reversed in older people who have frailty syndrome. This particular study looked at 745 subjects aged 60-90 years. The researchers measured the cortisol levels of these participants after they woke, again in 30 minutes, and in the evening hours. The results indicated that the subjects who met the classifications for frailty syndrome were much more likely to exhibit this deregulation in cortisol secretion. The subjects who had lost significant amounts of muscle mass and physical strength were more likely to show increasingly higher levels of cortisol secretion as the day progressed. This is exactly the opposite pattern normal people would show. High cortisol levels are one of the hallmarks of sarcopenia. Sarcopenia is the catabolic process consisting of the advanced loss of muscle mass and bone mineral substance resulting from the aging process. This process is the precursor to frailty syndrome and is associated with a lower secretion of testosterone, growth hormone, prolonged physical inactivity, undernourishment, and multiple drug therapies. This common syndrome is best managed by a combination of dietary interventions, exercise protocols, nutritional supplementation, and appropriate drug therapy, if required. “Cortisol: Stress hormone linked to frailty,” ScienceDaily web site; http://www.sciencedaily.com/releases/2014/02/140220131349.htm, last accessed Feb.25, 2014.